If you’re going to quote Kerouac or Twain (Read: “Twenty years from now you will be more disappointed by the things that you didn’t do than by the ones you did do.”) right at the get go, you’d better have good reason and even better stories from the road to back it up. Naturally, we have both. In the rat race that is life in the 21st century, it takes more than a little bit of courage to leave everything behind and it made us think about the few we knew who had. Quitting jobs, leaving families and stability behind, all in the pursuit of travel is the stuff most people’s dreams are made of and the ones who cut off those strings usually find there’s more to learn than they had ever imagined. Who: 34-year old Mishana and 36-year-old Amit used to work at a digital advertising company, in social media and client servicing respectively. With about 10-12 years work experience each under their belts, both of them adore travelling and had travelled quite a bit prior to their big trip, but always found that it was ‘never enough’. The big trip: A 6-month-long criss-cross trip across the globe. After almost a decade of work, the two media professionals decided to take the plunge. 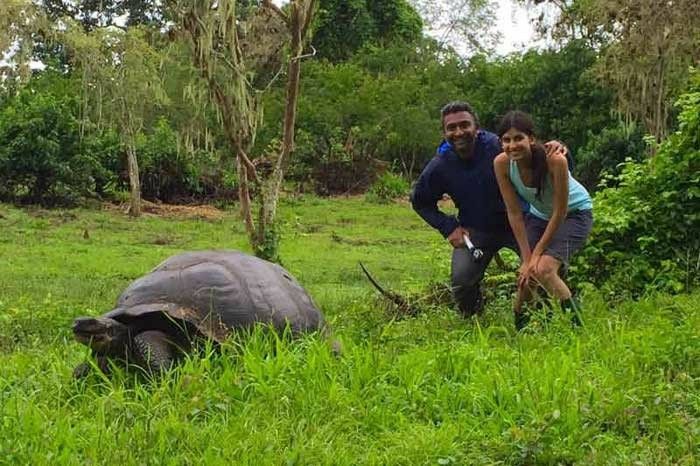 While Amit had always dreamed of long-term travel, Mishana was keen on experiencing new destinations like a local. 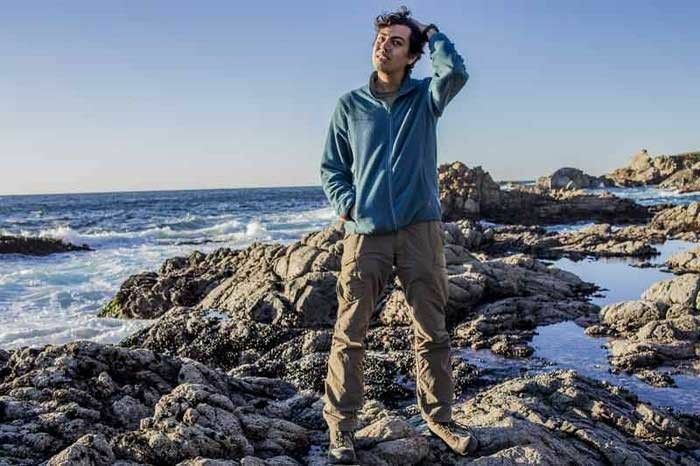 “We wanted a country that would be diverse and interesting, just like India is, but with plenty of facilities for campers like us, and America was our first choice,” Mishana shares. “Besides, when you say ‘road trip’, you think America.” The couple spent three months camping from coast to coast in the United States of America, after which they headed to the land down under and spent almost a month in Australia, driving down the coast from Sydney to Melbourne, and sleeping in a camper van every night. 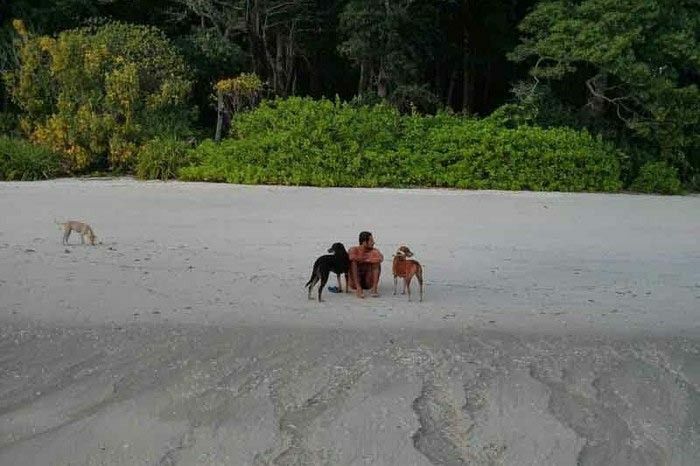 Their final stop was two months on a tiny island in Thailand, their self-proclaimed ‘rest stop’, so that they could stay put in one place after four months of being in a different place every night. If you could buy a one-way ticket to anywhere, where would you go? One inanimate travel companion you’d never leave home without? Check out their website here & Facebook here. 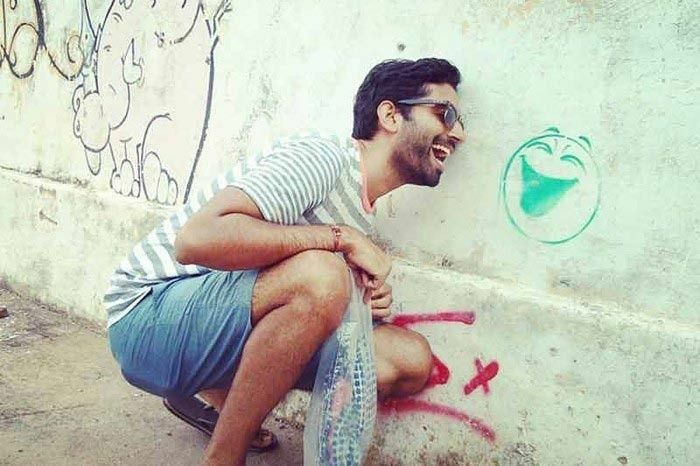 Who: 29-year-old Ajay Makhija is a DJ as a part of Orbs & Zen and also has an online company of his own. He has previously worked in the production part of advertising, in finance and in artist programming at Blue Frog, before he started exploring transformational breath-work, alternate healing methods and energy work. He is currently in the middle of setting up a mental detox/meditation and yoga centre in Koh Phangan, Thailand and runs iamcreator.co simultaneously. The big trip: Ajay quit his job at Blue Frog, Mumbai, to switch back to trading stocks, but the stress and losing money ended up taking a toll on him after a while, compounded by the constant feeling of not fitting in which led to depression and anxiety - and this was the impetus that led him to travel. “I started travelling to get away from everything,” he confesses. McLeod Ganj was the first stop, where he learnt the art of yoga and vipassana and he went on to visit Goa before heading to the Andamans, where he managed a luxury hotel for a while before trotting right on to Kodaikanal. Being forced to return to Mumbai when he started falling short of money, his quest to overcome his depression continued and he started exploring alternate healing methods and energy work. “I got much better after that,” he shares. “I fell in love, became a DJ as a part of Orbs & Zen and started a small online company.” Realising he ‘wanted to do something more meaningful’ with his life, he left for Koh Phangan in Thailand, where he came up with his website www.iamcreator.co while studying transformational breath-work and other alternate healing modalities. “Experience, strength, friendships, courage, healing, knowledge, wisdom, clarity, silence, love, joy and peace,” Ajay reels off. Follow Ajay and iamcreator on Facebook and check out his website. Who: 38-year-old Merwyn has spent 7 years in marketing, and then 12 years working for a reputed MNC, but ultimately, ‘the monotony, stagnancy and the comfort of the city life’, along with the pressures of the corporate world made him yearn for another way to live. The big trip: Merwyn realised he wanted a life where he could make his own decisions, and to fulfil his ‘want to experience everything and have nothing,’ he fired up his 1980 Royal Enfield and set out on the road in 2010 with the sole aim of creating experiences that would take him ‘further and beyond’. “It was just about going with the flow-- stopping when you got tired, eating when you’re hungry,” he explains. “Pick up any jobs when you need money to put fuel in the bike, or food, and just roll with it.” From Mumbai, he has ridden across the country at least twice till date, and at the moment, he is exploring the frontiers and diversity of the North-East while living with the tribes residing there. “Myself,” he reflects. “Each day is a new day. By embracing the uncertainty of not knowing where my next meal’s going to be coming from or where I will sleep, I have embraced life, space, freedom and acceptance.” He adds that even though these everyday experiences have ceased to shock him, it continues to make him see life on the road as it is and take in experiences with a balance that only the road can teach. Follow Merwyn and his travel diaries on Further and Beyond’s website and Facebook page. You can also check the Batti project and its Facebook page. 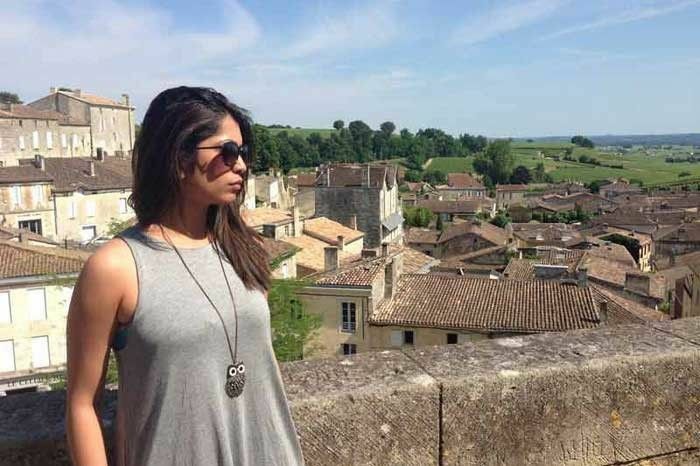 Who: This 29-year-old ‘urban traveller’ started working with a global tech. firm in Bangalore, after receiving his MBA from Ahmedabad. He was transferred to Tokyo in a Asia-Pacific level role, one that required him to travel extensively, but he eventually got “tired of planning my travels in between work trips”, and finally decided to travel the right way. The big trip: There were three things Robin wanted to achieve through his travels: learn new life skills, learn a new language and see the world. He learned how to snowboard in Chile, free-dive in Fiji and kitesurf in Sri Lanka. He then set off for Thailand where he trained to be a divemaster before going off to Mexico to learn the art of being a tec diver. He has even travelled through New Zealand, South America - where he tried to pick up Spanish, crossed over to Africa and drove across South Africa and Tanzania, with Turkey as his last stop. Follow Robin on his Facebook, Instagram & Linkedin. Who: 32-year-old Rohan Mathew has an MBA in CSR from the Netherlands government and always confesses that the best school in life... “is life itself, so get out of your comfort zone and travel to learn.” Post gaining some good experience in corporate management at his last job as a Business Analyst in Pricewaterhouse Coopers, Amsterdam, he decided it was time to not only switch careers but also travel while he was at it. He went on to learn sustainable design, is now an interior designer by profession, and also loves to DJ. While waiting for his course to start, he began looking for various organic farms where he could work and learn as much as he could. He eventually travelled up the whole east coast of Australia with a fully loaded camping van, from the Sunshine Coast right up to Cairns for the Total Solar Eclipse festival. 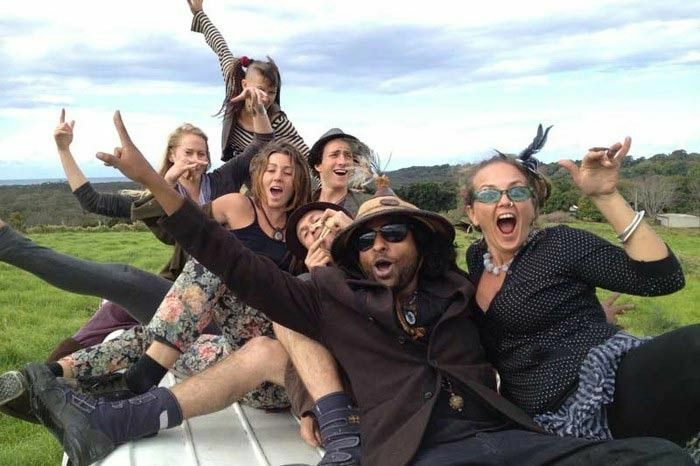 The best learning experience, he states, was working with new cultures and in new countries, whether it was the green school Starseed Gardens or the Byron Bay Sunday farmers market, they have all added to and moulded his life experience. 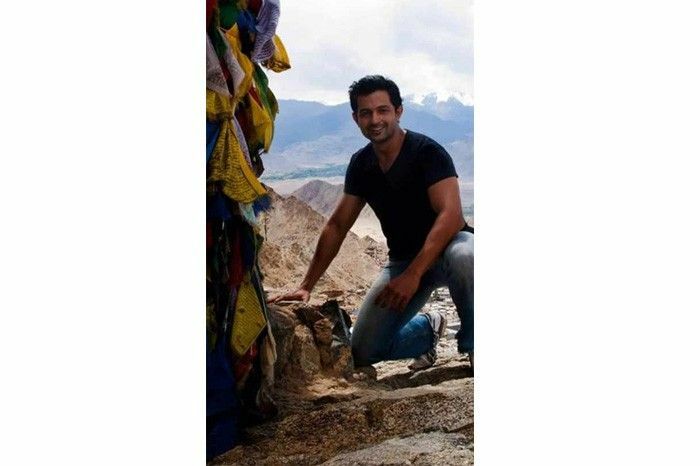 You can check out Rohan’s Facebook page to know more about his travel experiences. Who: This is a duo that has had to make a lot of tough decisions to pursue their passion for travelling. Based in the US, Sunny Patneedi was a Software Engineer with Microsoft, and his wife, Priyanka Patneedi, a Doctor of Pharmacy (Pharm D) who works with the geriatric population. Both the 30-year-olds, hail from middle-class families, and both had the responsibility of paying off their student loans and hence were unable to study abroad. Once they started earning and paid off their student loans, they began saving up and travelling within the US. Follow the duo and their travel tales on their website, Facebook page and Instagram. Who: 30-year-old Francesca had her fair share of trysts with various professions as a result of her efforts to find her niche. She worked with one of India’s best fashion designers before moving on to a boutique design company. Despite having great work experience, she felt that she had a greater potential that was left untapped. She went on to work as an Assistant Producer with a film production company and an editor of an entertainment portal before a short stint with an interior design company. “I had a picture perfect life,” she confesses. Despite having great job and good pay, she wasn’t satisfied because she wasn’t passionate about any of it as she was about travelling. The big trip: She had travelled to countries like Australia, New Zealand, Dubai, Canada, USA, Thailand, Malaysia, to name a few but it was Europe that she wished to explore. It was a matter of ‘now or never’ for her and she decided to follow her heart. She saved enough money that would allow her an unperturbed break in Europe for two months. While she was there she travelled through Spain, France, Italy and Greece making sure she didn’t just experience the tourist attractions but also the authentic side of each of these cities. One inanimate object you would never leave home without? Who: This 32-year-old “discoverer of sorts” worked in digital advertising for almost 10 years before he decided to call it quits so he could do what he really wanted - embark on a journey where he could try out new things. The big trip: It was his fascination towards the beach and the concept of living on an island that led him to the beautiful island of Mafia, just off the coast of Tanzania. What started out as a two weeks getaway turned into a three-month-long stay because there just was so much about the island he wanted to absorb. As a result of not being tied down by an itinerary, he was able to do things that helped him experience the culture of the island, without any filters. He spent time with the locals; learnt a bit of Swahili; learnt to appreciate and cook their local cuisine; went snorkelling, scuba diving and even swam with whale sharks. After having explored every aspect of Mafia, he still wasn’t ready to return home and so, he went on an impromptu wildlife safari to Ruaha. the largest national park in Tanzania. It was not long after this that he found himself partying in the city of Dar Es Salaam. “The essence of my journey was the people I met,” he reflects. For him it was the human interactions--talking to locals, meeting and spending time with explorers from across the world-- that made his journey worthwhile. On choosing travel over his job: “Among many things, it debunked the idea of having to travel with a definite schedule or an agenda. It gave me a glimpse into something I had only imagined myself doing, that is to work irrespective of physical location” he muses. 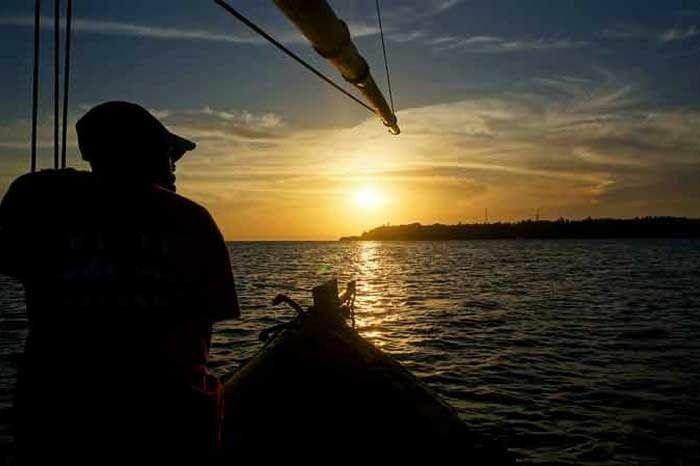 He elaborates further by adding that that he was able to help the locals with his design & marketing skill-sets in exchange of meals, cheaper stay, and other island experiences.These exchanges, he believes, gave him the confidence to continue travelling. “I understood a bit of life under water, I got close to life on land and I started to understand my life a little better. To want to exist with meaning is to exist by simply being present. Because when you are present, a whole lot of good comes out of it,” he adds. On what he gained: “Just as Jiddu Krishnamurti said, it is important to understand life as a whole and not just a part of it. We spend most of our lives without realizing just how conditioned we are to think, live and do things a certain way. This experience helped me understand how the mind decays when it is secure. So, as difficult and unnecessary as it may seem, my journey is about un-becoming everything that isn’t really me,” he states. “I also think I got a bit too comfortable with going commando, but that’s another story for another time,” he adds as an afterthought. 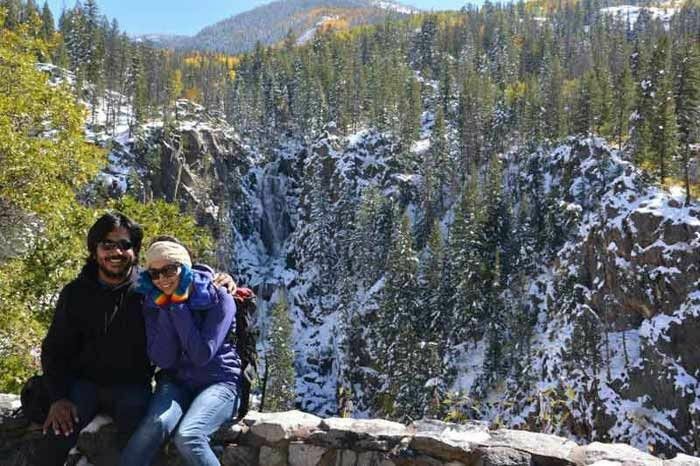 Who: Hailing from the city of Bangalore, this 30-year-old’s decision to travel was, for a long time, a dream she used to see with Pawel, her then boyfriend and now, her husband. The big trip: The duo had set themselves a timeline within which they had to pay off all their loans and save up enough money to travel together. 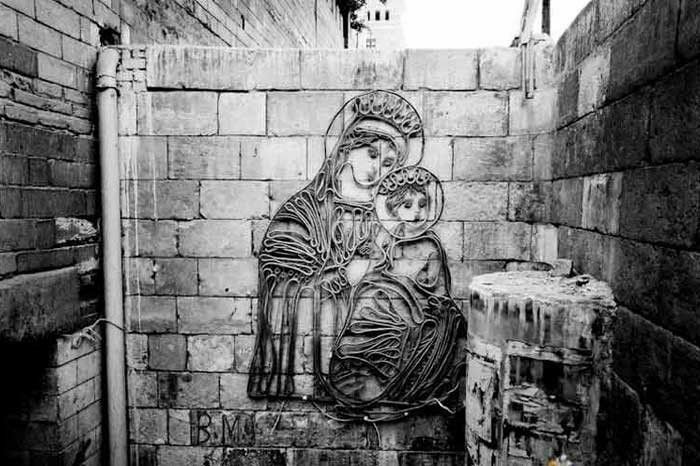 Their earlier short trips to Jordan and Syria heightened their curiosity about the Middle East and they decided to travel this region before heading to South-East Asia. It took a few years longer than they had anticipated but in 2011, she resigned from her job in Dubai and decided to make this dream of theirs come true. “We decided we wanted to do fewer countries and spend more time there,” she shares. 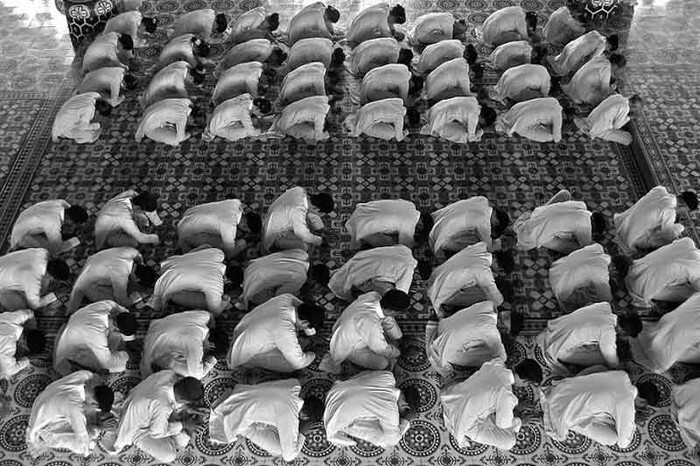 Their first destination was Egypt, where they spent 3 weeks, followed by a month each in Turkey and Iran. From there, they flew to Kuala Lumpur, followed by trips to Singapore and Indonesia. After this, they headed to Vietnam where they bought and refurbished a motorbike on which they rode across Vietnam, Cambodia & Laos. Before moving to India, they also spent 3 weeks in the Philippines followed by a month in Poland. On choosing travel over their jobs: For a career driven person, quitting her first job post MBA would prove to be extremely detrimental, but she knew she wasn’t one. Apart from being extremely frustrated with her job, being separated from Pawel was also taking a toll on her, emotionally. “It wasn’t the easiest decision,” she accepts. She had to alter her lifestyle choices in a way that would help her save money. On what she gained: “It’s hard to quantify what I gained!” she exclaims. “It’s easily the single biggest achievement I’m proud of so far,” she adds, happily. Who: This 32-year-old from Allahabad worked with Wipro, Bangalore for almost three and a half years after graduating from M.I.T, Manipal. In 2013, he completed his graduation from James Cook University in Singapore. The big trip: His obsession for travelling began with his affinity towards going on short drives around where he lived - even if meant to just ride to the Cafe Coffee Day on Tumkur Road when he was in Bangalore. Since 2006, when his friend proposed the idea of going to Leh, all he wanted was to simply set out on a road trip. Finally, in 2009, he left his job, purchased a Royal Enfield and biked all the way from Delhi to Nepal. He rode for 13 days, into another country and then, there was no going back for him. Now, it is impossible for him to go more than 3 months without making at least one road trip. 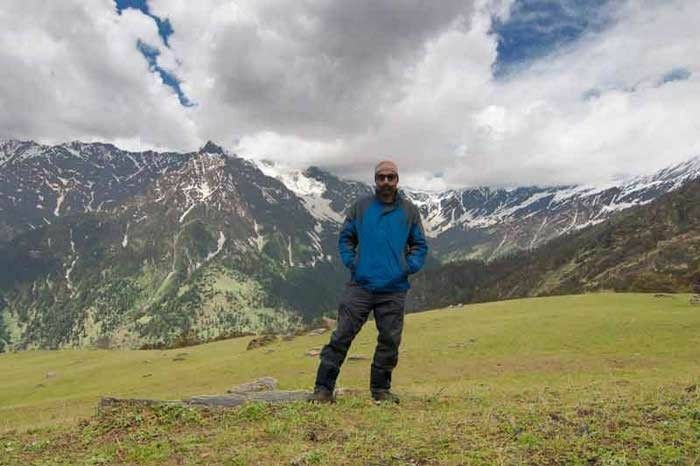 10 days road trip throughout Himachal, 13 days on the road to Bhutan, numerous visits to Leh and short rides to Munnar, Kodaikanal, Ooty (to name a few), later, his love for travelling has only grown. Till date, he has backpacked through 9 countries-- Singapore, Nepal, Bhutan, Indonesia, Philippines, China, Cambodia, Thailand and Myanmar. Who: This 33-year-old chemical engineer dropped the idea of being an engineer even before could complete his course. He moved to Mumbai city and started working his way up in the digital business, focusing mainly on music and editorials, followed by a stint in the telecom industry. This opened up a new beginning for him in the movie industry. Simultaneously, he began moonlighting in the live music scene, as a vocalist, artist manager and then even as a DJ. Even though his job required some amount of travelling, he always found himself returning to Mumbai. The big trip: He took two months off his work last year so that he could go to Brazil for the World Cup. He backpacked from the Pacific Coast to the Atlantic, via Peru, Bolivia and ultimately landed in Rio de Janeiro so he could be a part of the greatest football party there ever was. At the end of two months he realized he had not even begun to explore the area half as much as he wanted to. 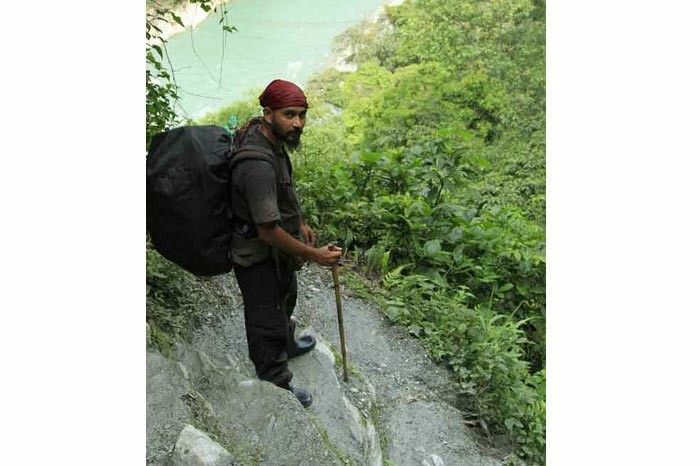 Determined, he returned to India, quit his job and completely left his life here behind so he could explore the continent. 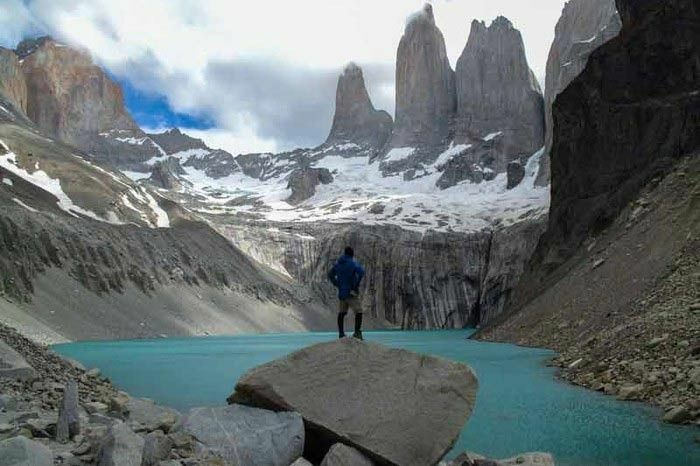 With no expiry date to this tour, he went on and explored Peru, Ecuador, Bolivia, Brazil and even Columbia. 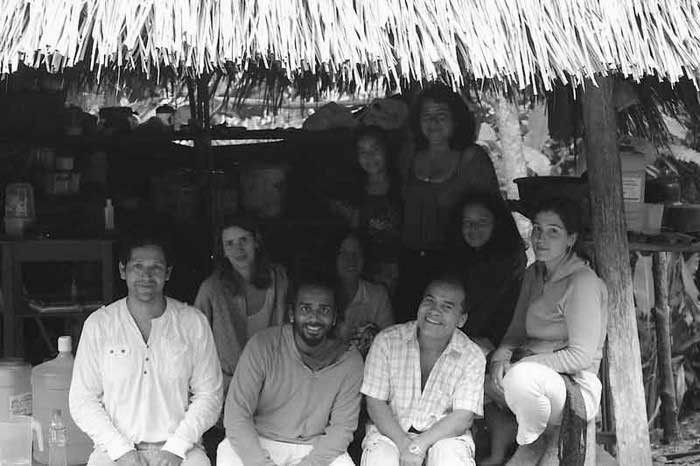 “My life in Mumbai had left me jaded and unexcited, the monotony and debauchery of city life had begun to take a toll on me and I really enjoyed the cultural experience that South America had to offer,” he shares. The possibility of being able to absorb the ‘littler’ pleasures in life there--be it tasting their finest cocoa, or the Mystic Shamans of the Amazon, trekking through the Andes, living in isolated valleys, snorkeling in the Atlantic, or just chilling with the sea lions, penguins, anacondas and leopards! Who: 32-year-old Vahishta entered the professional world of journalism at the very young age of 16 when he started working for Channel Y, a youth magazine that was run by Indian Express. For the next seven years he remained a journalist and worked with Times of India and Just Like That magazines, until he decided to make the internet his work space. He set up websites for magazines owned by really big names such as the BBC. In 2008, he began managing the digital presence for UTV television and eventually for UTV motion pictures. In 2012, he quit his job and returned to his old passion of writing and photography, but this time, while travelling. The big trip: The need for a change began to haunt him when he started hosting couch-surfers--a concept where locals from a particular country opens up their house to let visiting travellers stay for a few days. The whole experience of spending time with and getting to know these people made him evaluate his own life and that made him realise there was a certain emptiness in his life which he couldn’t fill with all the material things he bought. “The more I threw into this hole, the more it yawned open. The reason for this misgiving was not clear to me for the longest time, but one day it came to me. It struck me that everything I had been doing, all my life’s pursuits up until that point were driven by aspirations forced onto me by my surroundings,” he muses. When that became clear to him, he realized he did not want to be a “29 year old, S.E.C. A+ urban male” and that all he wanted was to experience life as much as possible. That moment of epiphany changed his life for him. He quit his job, sold his house, bought a camera, laptop, a backpack and flight tickets and he set out to discover life as he now knows it. Who: 30-year-old Pushkaraj faced a lot of hardships that forced him to start working at a very young age of 15 years. Ever since he has tried his hand at various fields such a copywriter-creative director, a fitness consultant, film director-producer, photographer. The big trip: About five years ago, when he was working at ‘Ogilvy One’ as a creative supervisor, he began to rethink what he wanted to do with his life. It was at this point that he decided to break out of his comfort zone and went on to work on Bollywood movie just to explore his love for movies, which he did not find gratifying to the least. Eventually he broke away from everything that was holding him back, including his girlfriend, packed up a rucksack with just 2 pairs of clothes, a camera, a tent and set out to explore the world, with no specific destination on his mind. He eventually ended up in Kashmir and from here he went on to Mumbai and ultimately all the way to Kanyakumari. In 6 months, he covered the North-South axis of India on his bike and during this period he made sure he enjoyed life to its fullest-- he made new friends, wrote a journal, experimented with as many types of alcohol and narcotics that was available enroute the journey. When he returned, he decided that he didn’t want to simply pick up from where he left off and so he went on to take admission to a film school which ultimately helped him take off his journey as professional film maker. “To think of it, that trip saved my life,” he admits. On What He Gained: “Experience. Experience. Experience,” he reiterates. “All kinds of them. And sunburns and helmet heads. And a major lesson to never use a cheap hard drive to store your travel photos,” he trails off, sadly. Who: 32-year-old Hersh Khumbai has always been on the move. Born in the suburbs of Cleveland, it was only a matter of time before he started exploring the world around him. Before he even turned 18, he moved to Dubai and went on to study in two different boarding schools in India. Later on, he moved to the US to pursue a degree in Economics and Finance from Cornell, and he stayed there to work, until 2008. It was when he was working for Jefferies in New York that he decided to return to India. He decided to work on a startup, Trabblr,a social platform for travellers and locals to explore cities around the world together, with Mumbai as his base. Unfortunately, Trabblr did not gain the momentum it should have and so he shifted to Gurgaon to join Zomato, where he has been working until now. 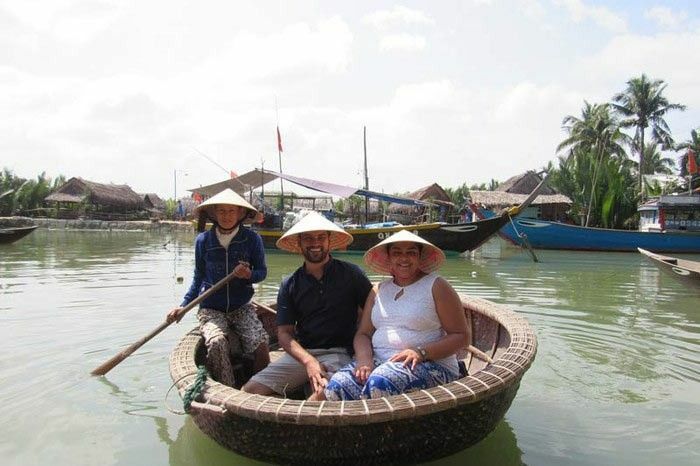 In the spring of 2009, he and his friend, Josh, set out on a journey that would take them from Bangkok to Thailand, Laos, Cambodia and Vietnam, before heading to Lisbon so they could explore Europe. A while after the first trip, he went on a shorter journey to Malaysia, where he learnt to dive, and Sumatra where he learnt to observe rare orangutans. He spent about three months exploring Bulgaria and the Balkans so he could learn more about the region that monopolized headlines back when he was in high school. On what he gained: “A ton of experiences that I will remember forever, meaningful friendships and the inspiration to create a travel startup that would inevitably be one of the most educational experiences of my life,” he recollects fondly. On what he lost: “A lot of money!” he exclaims. “ There were days when I thought that I was losing time as well. I would keep up with what my friends were doing and many of them were growing personally and professionally in the traditional sense – you know, getting married, getting promoted, reaching that next step – while I seemed to be stagnant. For someone who only understood structure and plans, it was challenging to find comfort in ambiguity,” he admits. You can stay updates with Hersh’s travel stories by following him on his Instagram, Twitter, and his website. Who: Neha and Akshay Vora, are a 33-year-old married couple from Bombay. They are now settled in London where they have their own company for health services. The big trip: They began their tryst with travelling started with a few short adventures within India, where they visited places like Varanasi, Kanha Forest, Jabalpur, Nagpur, Rann Utsav and Bhuj, the interiors of Maharashtra, Jaisalmer, Jodhpur, and Kerala. Later on they decided to step out of their comfort zones and backpacked through Southeast Asia for 4 months visiting Hong Kong, Vietnam, Cambodia, Laos, Myanmar, Thailand, Malaysia, Singapore, Indonesia and South Korea.